Manchester City boss Pep Guardiola surprised many people with his comments during the post-match interview on Saturday. The 46-year-old revealed that he wants the city rivals and his old foe Jose Mourinho to win the Europa League title, and also explained why in the process. Speaking after the 5-0 thumping of Crystal Palace, Guardiola said, “We have four teams fighting for two places, hopefully United can focus on the Europa League and next season we shall see five English teams in Europe which would be amazing.” City have strengthen their place in top four with the big home win over the Eagles. However, wins by Liverpool and United today would make things very tight again. 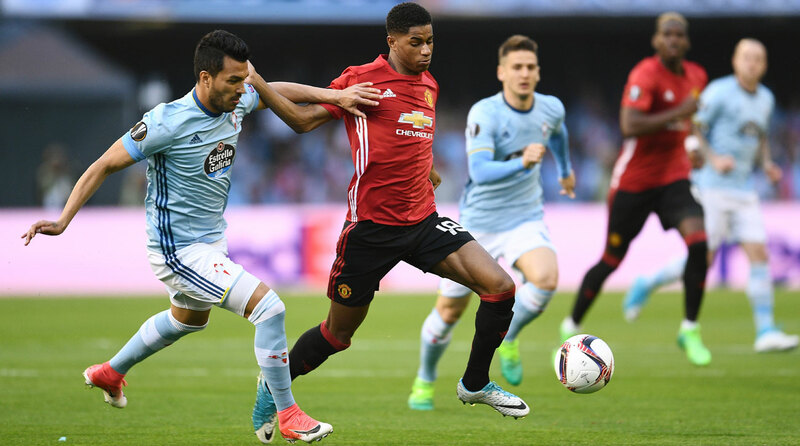 Meanwhile United are halfway through the Europa League final with a big win over Celta Vigo in Spain, where Marcus Rashford’s free-kick proved to the difference between the two sides. They are likely to face Ajax, who defeated Lyon 4-1 at home, in the final as the winner gets an automatic spot in the next season’s Champions League. Has Neymar played his last game for PSG?